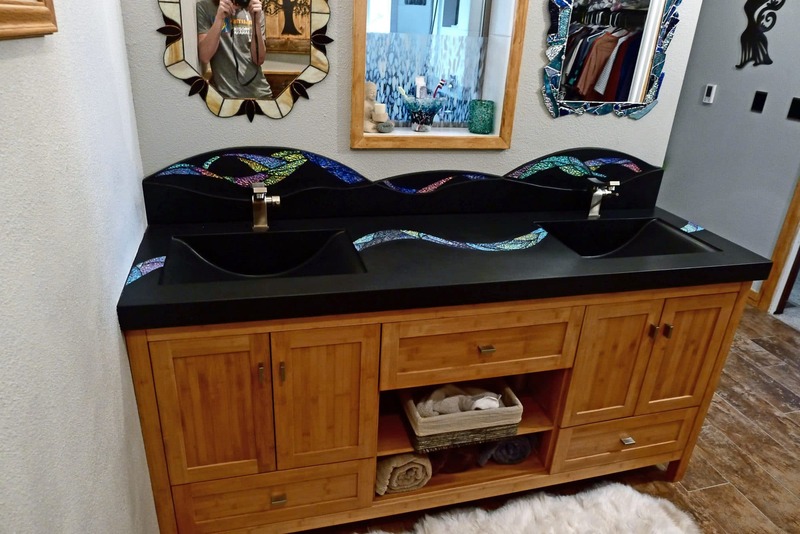 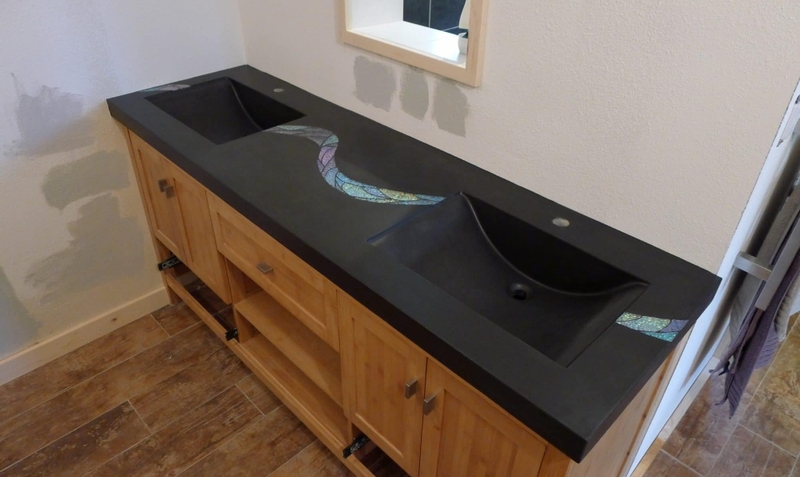 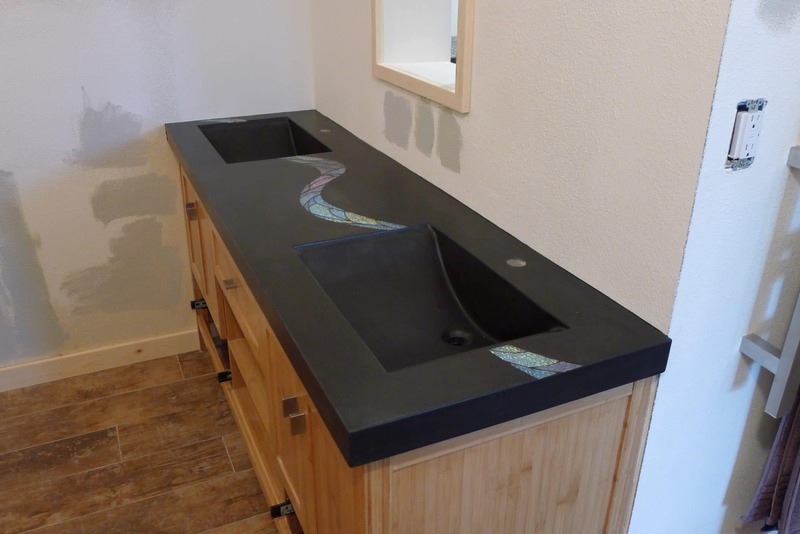 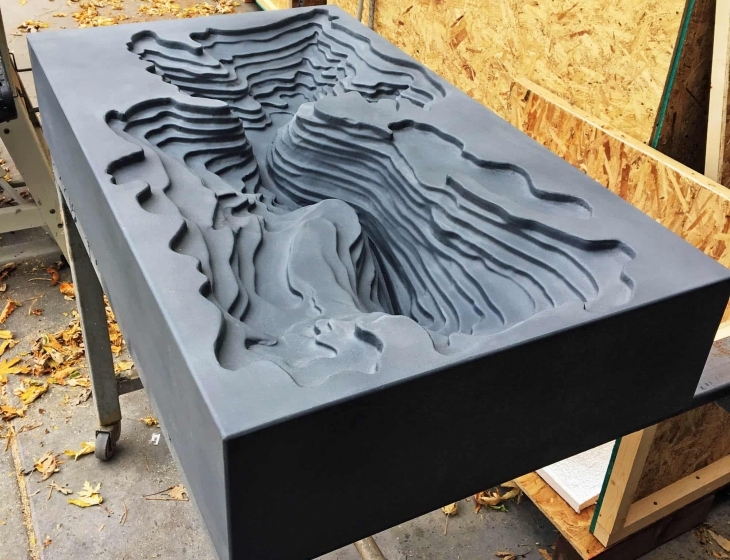 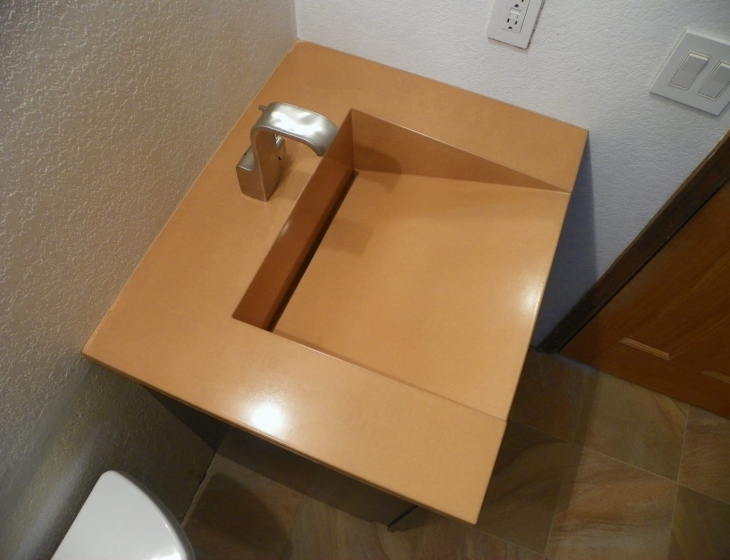 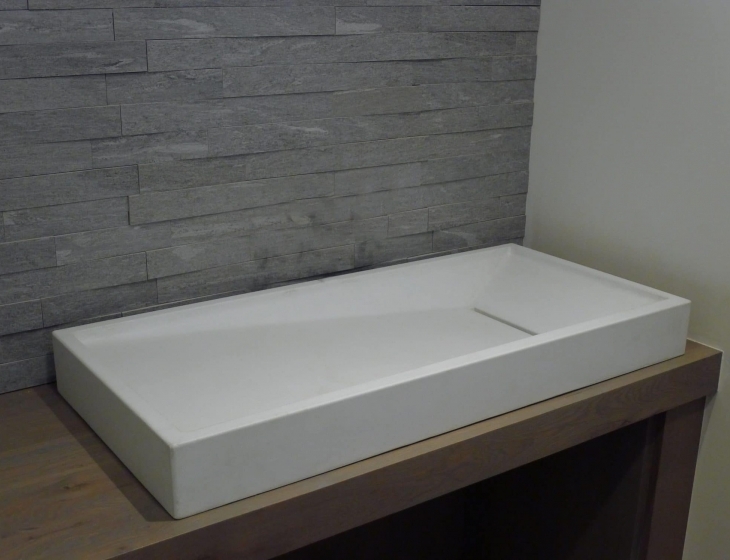 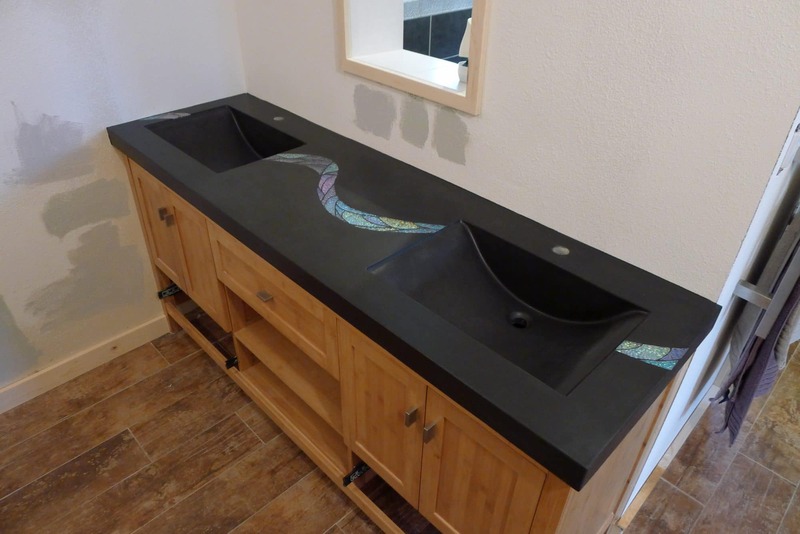 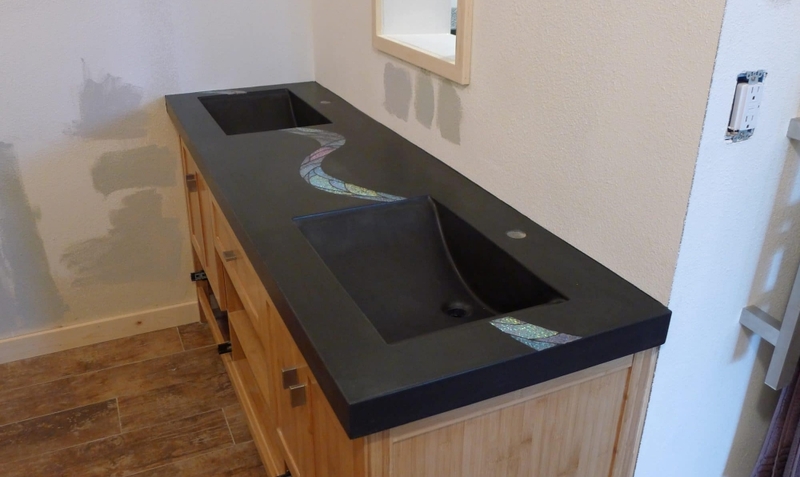 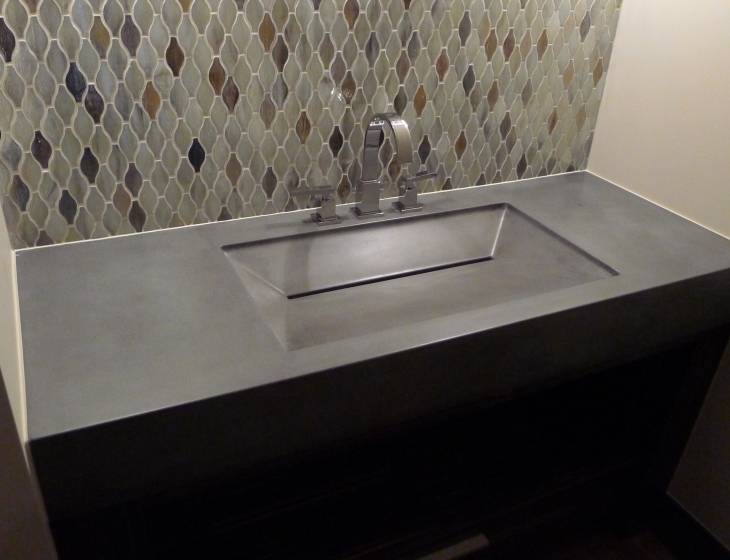 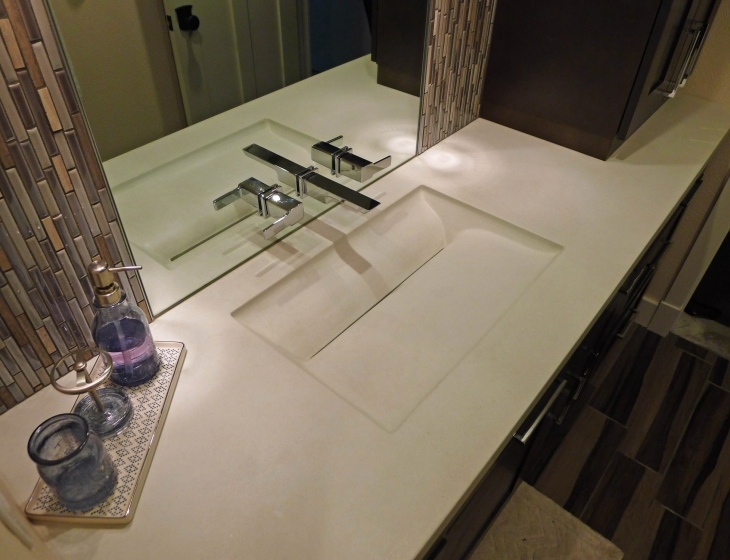 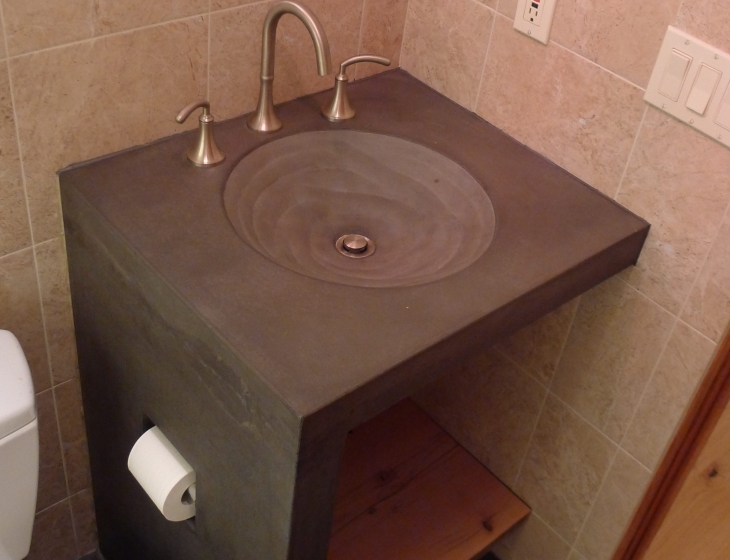 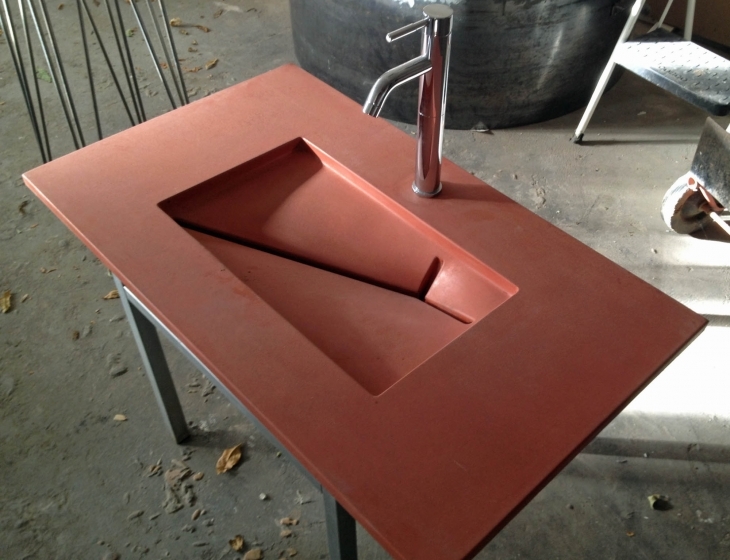 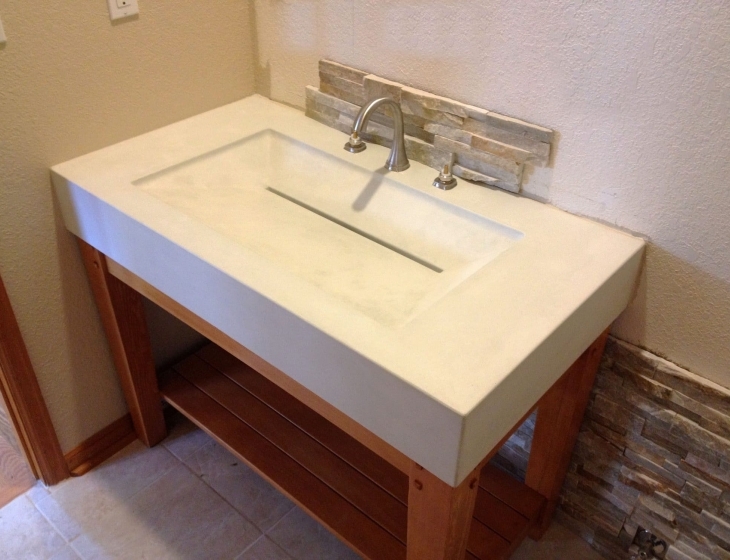 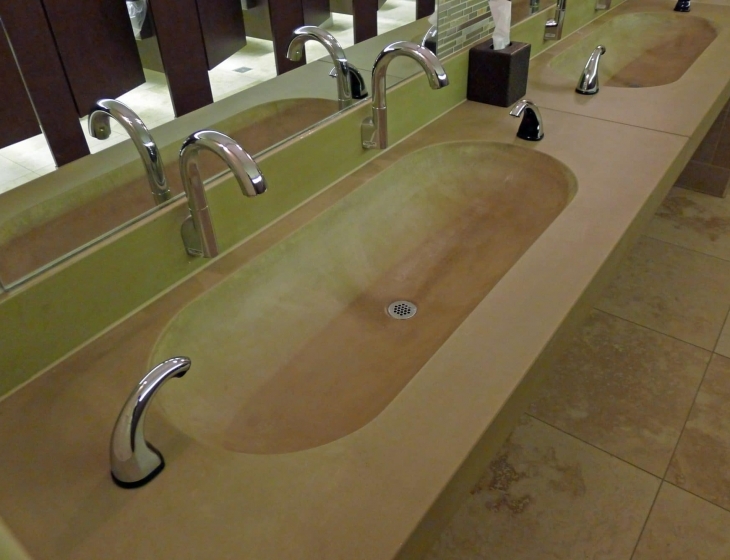 A collaboration with a local glass artisan produced this amazing concrete double wave sink. 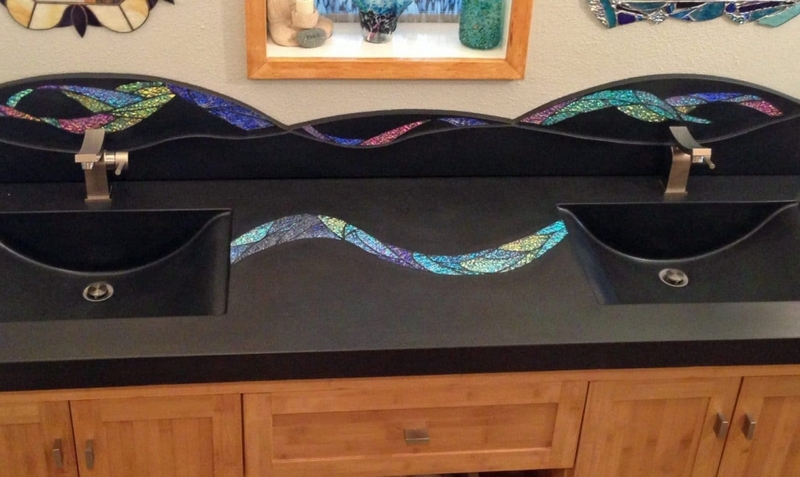 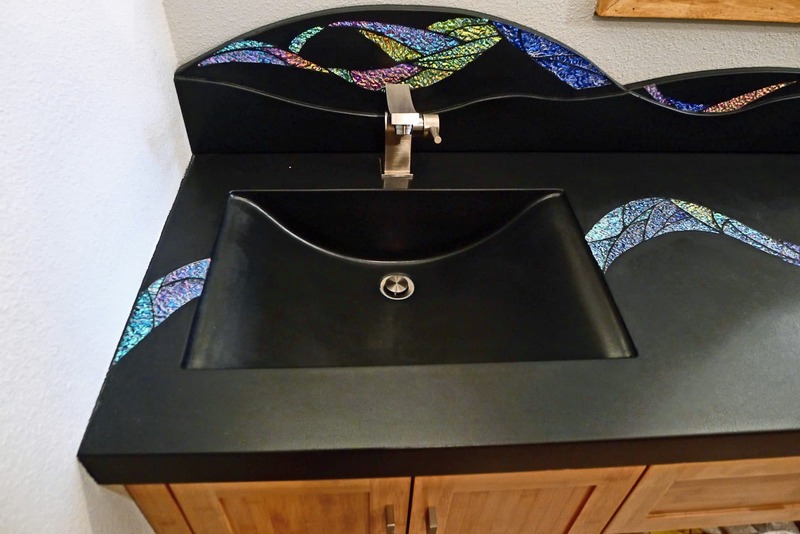 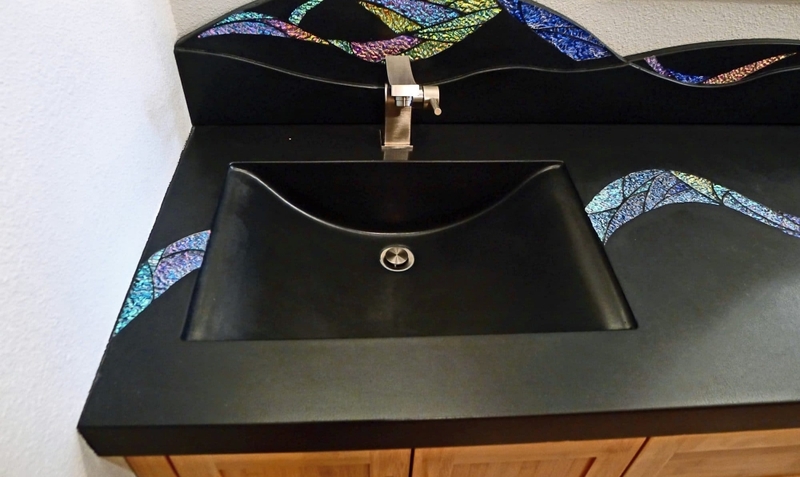 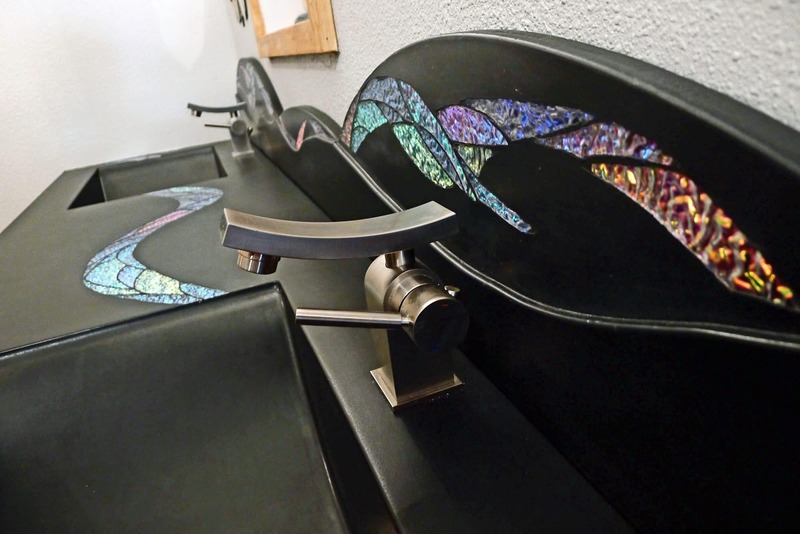 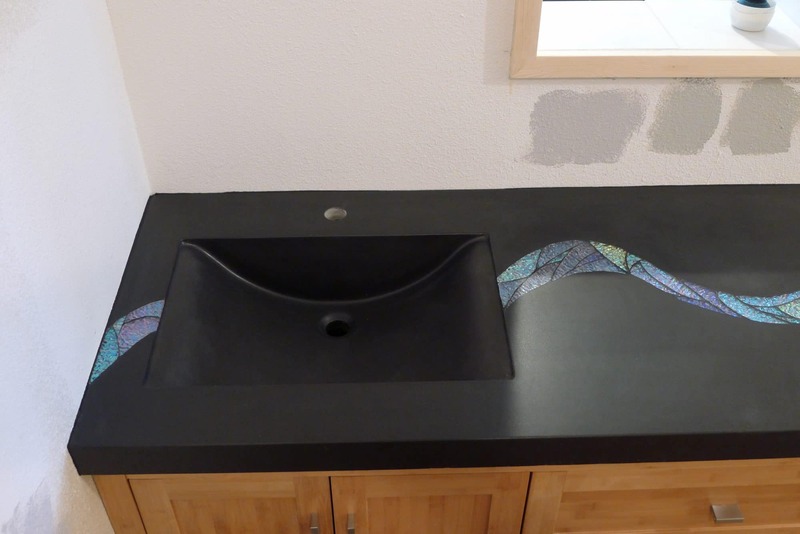 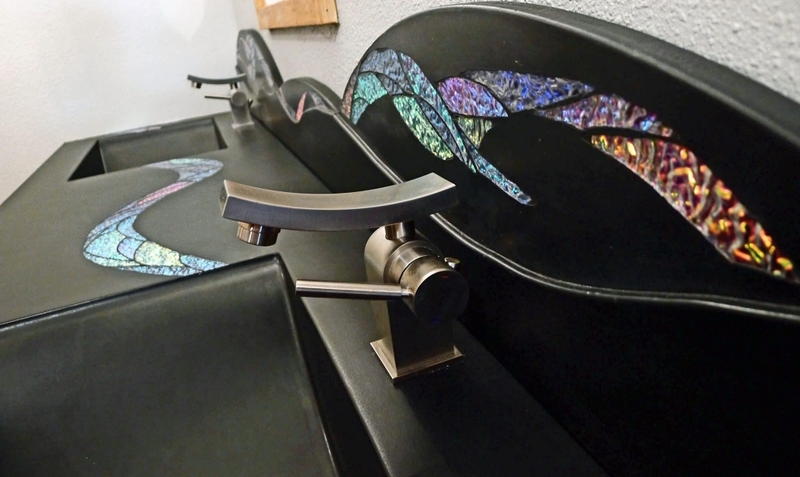 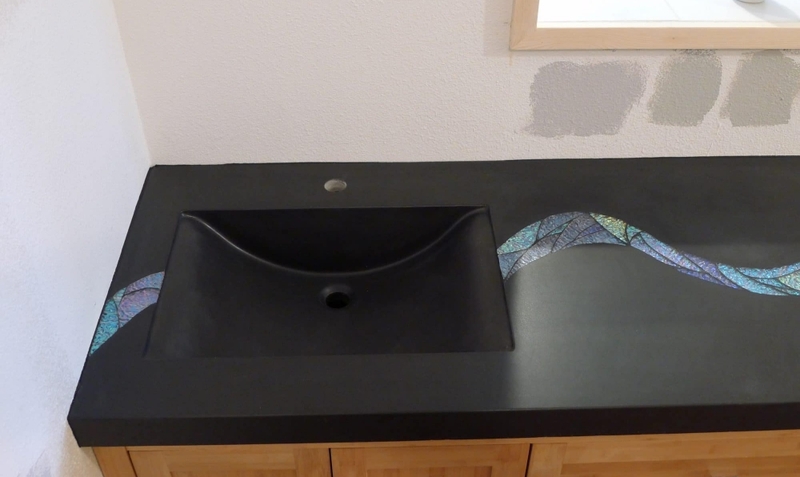 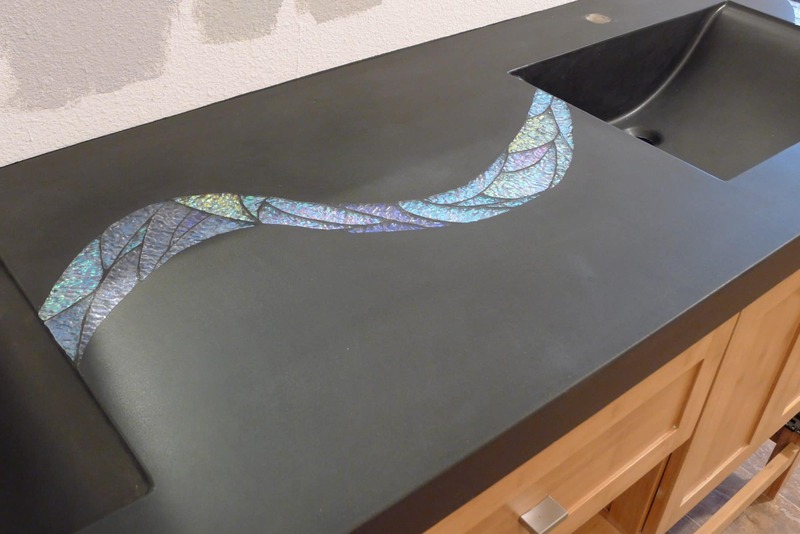 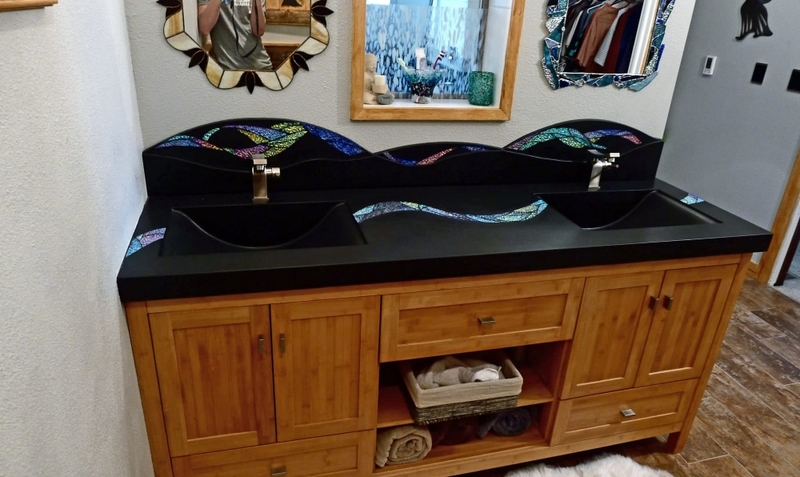 The homeowner and glass artist inlayed her pattern of dichroic glass in the sink and backsplash molds prior to pouring. 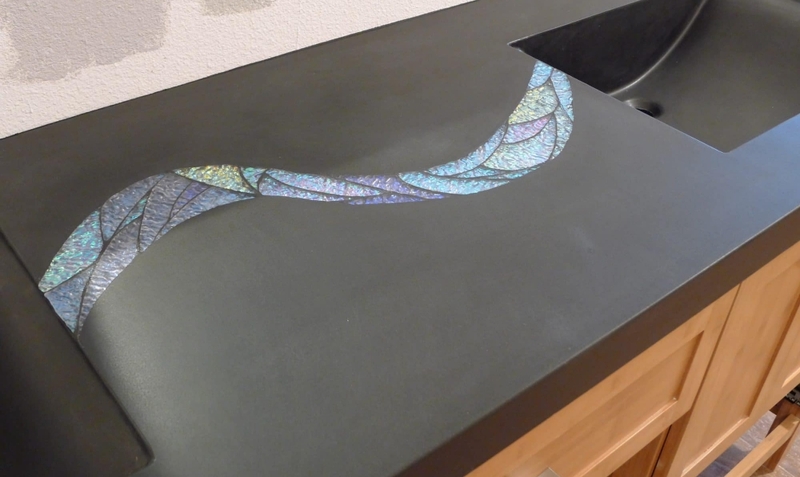 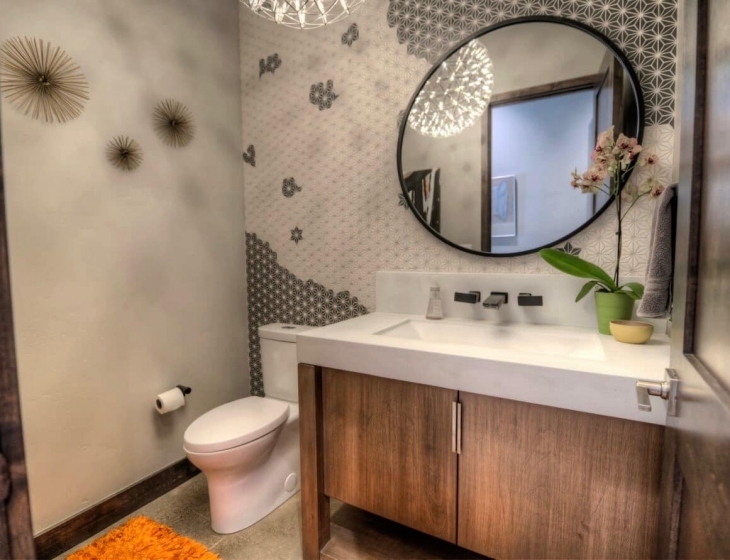 Cast in ‘Coal’ concrete, the shimmering dichroic glass makes this a truly special addition to the artist’s home.